If you’re an active social networker, you already know that travel photos and social media go together like… aerial shots of brunch and social media. So when we decided to throw a social media contest together for our upcoming Call to Action Conference, it seemed only fitting to make it travel themed. Not just because we like taking 10-second mental vacations by staring at pretty pictures of pretty places. But because Unbounce has done a little travelling itself. After expanding to the German, Brazilian and Spanish markets over the past year, we opened an official Berlin office in January. Four walls, front door, ever-flowing kaffee and all. We’re thrilled that this year’s conference is the first we’ll host as a truly international company — and we want to celebrate by putting you on a plane with a free ticket to Call to Action Conference 2017. 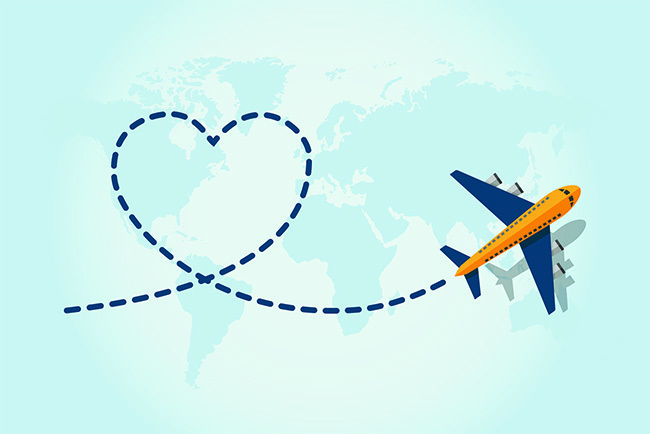 “Fly me to #CTAConf @unbounce and make me love Vancouver as much as I love [insert location]”! The winner will be announced at noon PST on Friday, June 3rd and receive a $1,000 flight voucher as well as a free ticket to Call to Action Conference, worth $999. Click below for more contest details if you want them. 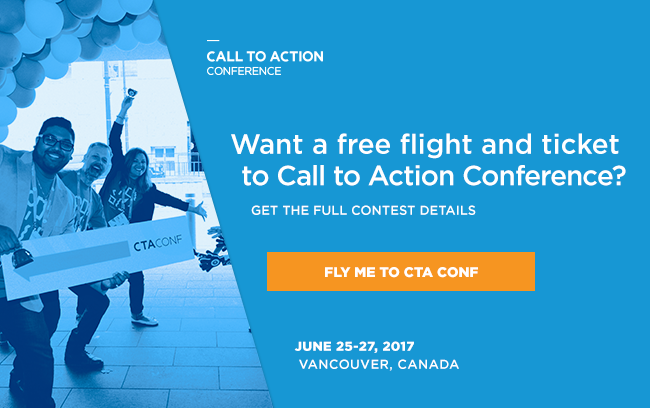 And if you’re thinking, “What is CTAConf and why do I want a ticket to it?” then see what all the hoopla’s about.